Eamonn Coghlan and Marcus O'Sullivan, among the legends of Villanova (and Irish) track, had some epic battles in the Wanamaker Mile at the Millrose Games. They'll be competitors again next month in a different way: each is bringing in a top-notch distance medley relay (DMR) quartet to the Games. Coghlan has his University College Dublin (UCD) "dream team" and O'Sullivan will counter with his Villanova squad, hoping to repeat the success of last year's version of the DMR that won the Penn Relays Championship of America. Adding another layer to the Coghlan-O'Sullivan competition at Millrose is the fact that Coghlan's DCU squad has among its charges one Mark English -- the 800 meter phenom from Letterkenny AC. If the rumblings on the message boards are to be believed, while Marcus O'Sullivan was recruiting English mightily to come stateside to Villanova, Coghlan was urging the opposite: to stay in Ireland and join up with Coghlan's son John at UCD. At least for now, English has chosen to stay in Ireland and enroll at UCD. It's likely that English will be matched up against Villanova's Chris FitzSimons in the 800 meter third leg of the DMR. FitzSimons had an unlucky first year at Villanova (fighting illness and injury), but when healthy possesses great 800 meter ability and a devastating kick. Either way the DMR at Millrose should present high drama and a nice pre-Penn Relays test for the Villanova DMR team. Celebrated runner Eamonn Coghlan is coming back to the Millrose Games, this time as an 'adopted coach.' The seven-time champion of the Wanamaker Mile is helping bring a talented Irish squad from Dublin City University to compete in the Byron Dyce College Men’s Distance Medley Relay in the 105th Millrose Games, Feb. 11, 2012 at The Armory. "I've known these kids since they were young teenagers," said Coghlan, whose son, John, will be running the 1600m anchor. "I've seen them grow up. The fact that they are all in school together, they can see what running in New York City is all about. It's exciting for their team from Dublin University to go to the Millrose Games and have a chance to do exceptionally well. "The Irish used to come to the Millrose Games to support me, Marcus O'Sullivan (Wanamaker Mile champion in 1986, '88, '89, '90 and '92 and now head coach at Villanova) and Ron Delany (winner of four consecutive Wanamaker Mile titles, 1956-59). People are not aware of the talent coming out of Ireland. It might get them back on the scene again and they potentially could make the Olympic Team come next July." Recognized as Ireland's 'Dream Team' and Gold Medal winner of the Irish Under-23 Cross Country team competition, the Dublin City squad consists of Irish Junior 800m record holder Mark English (1:47.09), Brian Gregan, Darren McBrearty and 2010 U-23 Irish 1500 meters champion John Coghlan. Dublin City University coach Enda Fitzpatrick will make the trip. Earlier this year Eamonn Coghlan introduced to Armory Foundation president Dr. Norb Sander the idea of bringing an Irish team to the Millrose Games. "He asked me if I would be in on the floor activities," Coghlan recalled. "I said we need a bit of the Irish influence back in the Millrose Games again. I said, 'What about bringing an Irish team over?'" 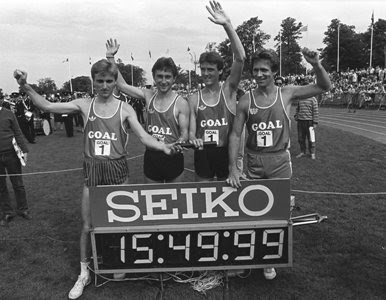 Thus Coghlan, nicknamed the Chairman of the Boards for winning the Wanamaker Mile in 1977, '79-81, '83, '85 and '87, will be in attendance to support the talented Irish outfit. "My role there is as a parent, coach and a nervous dad," Coghlan said. "I just want to be with Norb and help keep the Millrose Games going. Enda would like my influence to be with the kids the day before and calm them down, motivate them and help them get ready. 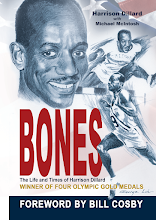 "The Millrose Games are close to my heart for obvious reasons. 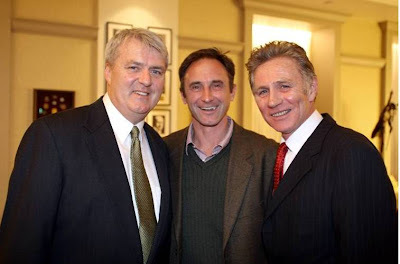 My success in the Millrose Games has been the making of Eamonn Coghlan. Not a week goes by when someone doesn't say something to me about winning the Wanamaker Mile." The Irish Team will be competing against the country's top college programs including Eamonn Coghlan's alma mater Villanova, Virginia, Duke, Providence, Columbia and Albany. The week prior to the Millrose Games, the Irish team will participate individually in the New Balance Collegiate Invitational (Feb. 3-4) at The Armory.